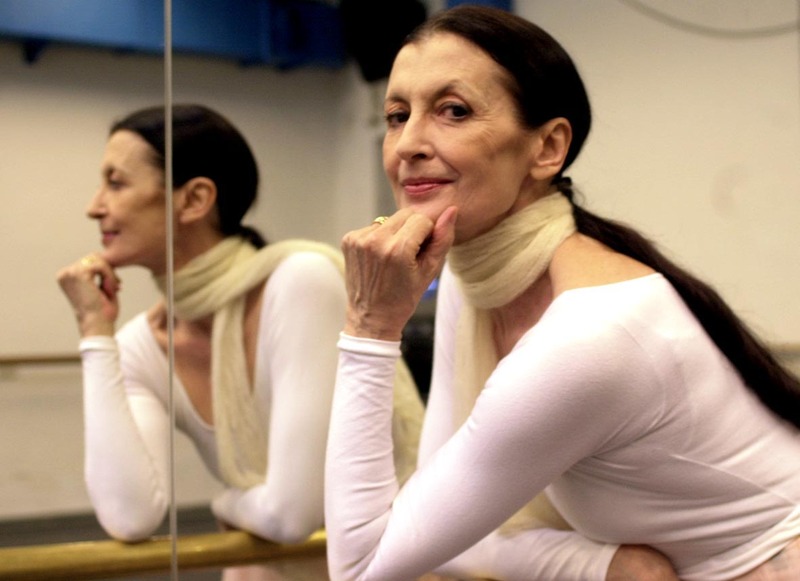 Carla Fracci, Italy's "Queen of Dance"
“People treat me like their friend,” reveals Carla Fracci, a successful Italian woman undoubtedly among the best ballerinas in the history of dance. But Carla considers herself an ordinary woman. It’s not unusual, in fact, to find her at the local supermarket. She washes the dishes and takes great care of her house. “I love the garden, as I come from a background of farmers,” she says. Carla Fracci was born in Milan on August 20, 1936, the daughter of Luigi Fracci and Santina Rocca, who worked as a tram driver and factory worker respectively. Carla’s mother was a distant relative of Giuseppe Verdi. During the war, Carla lived in the countryside with her mother and grandparents, then in a little town near Genoa and for a time in the province of Mantua. Her passion for classical dance began by accident. “It was not my choice… I wanted to dance the waltz,” she confides. As a girl, she loved the world of dance halls that her parents attended, and it was in a dance hall that her talent was discovered. Some family friends, watching her dance the tango and the polka, suggested to her parents that the slender girl be enrolled at the La Scala Theatre Ballet School. And so, after passing the auditions, the precocious child found herself studying with Vera Volkova and other choreographers. In the beginning, the school seemed like a prison. “The first years I was a mess. I was homesick for the country. I found the barre exercises boring,” Carla admits. Then, during a stint as an extra in Sleeping Beauty, she saw the international dancing star Margot Fonteyn and everything changed. In 1954, she graduated. She became a soloist and first ballerina at the age of 22. She began to work at the London Festival Ballet, the Sadler’s Wells Royal Ballet, the Stuttgart Ballet and the Royal Swedish Ballet. In 1967, she became a ballerina at the American Ballet Theatre in New York. Highly sought after, Carla Fracci has portrayed more than 200 roles, both romantic and dramatic: from Giselle and La Sylphide, to Giulietta and Swanilda; always accompanied by the best male dancers including Rudolf Nureyev, Mikhail Baryshnikov, Alexander Godunov and Roberto Bolle. She learnt a great deal from her colleague Rudolf Nureyev whom she’d known since they were both in their twenties. Despite Rudy’s rather unhappy disposition, Carla shared many extraordinary moments with the legendary Russian dancer. Yet her true love appeared when she met Beppe Menegatti – “a man of the theatre, with great sensibility and genius”. Menegatti often directed some of Carla’s performances. “He was with me throughout the years, since I was a girl in Nervi’s famous Pas de quatre; he was beside me in my career and in my work travels,” Carla recalls. The inseparable Beppe and Carla also brought their son Francesco with them on tour in other countries. They were surrounded by artists like Luchino Visconti, Franco Zeffirelli, Vittorio De Sica, Peter Ustinov, Henry Moore and Renato Guttuso. In 1969, poet Eugenio Montale dedicated his lyric poem La danzatrice stancata (The tired dancer) to Carla when she was pregnant with Francesco. But Carla Fracci’s career is not based solely on dancing; the ballerina has also appeared in other roles. In 1982, she was the lead actress in a television series – coincidentally - about Giuseppe Verdi in which she portrayed Giuseppina Strepponi, the second wife of the great composer from Emilia Romagna. At the end of the 1980s she directed the San Carlo di Napoli Theatre ballet company, and from 1996 to 1997, the Arena di Verona’s. Since 1994 she has been a member of the Brera Academy, and since 1995 she has been president of the environmental group, Altritalia Ambiente. In 2004, she was named a Goodwill Ambassador by the Food and Agriculture Organisation (FAO). From November 2000 to July 2010 she was the director of the ballet company of the Teatro dell’Opera di Roma. From June 2009 to 2014 she was on the Arts and Cultural Advisory Committee in the municipality of Florence. Not only was she ambassador of the 2015 Milan Expo, but she has received many honours, including a Knighthood of the Great Cross of the Order of Merit of the Italian Republic and the Grand Official of the Order of Merit of the Italian Republic. This story appeared in the 2017 edition of Italian Republic Magazine. Daniel Mostovac works for a variety of small-media groups and is currently a research student of storytelling in 20th century Italian literature at the University of Melbourne.